With spring still evidently on the fence about whether or not it’s going to make an appearance anytime soon, we could all use a vacation to somewhere warm. Luckily the Current happens to be in Portugal this week, soaking up the sun and basking in the warm breeze drifting off the Mediterranean. 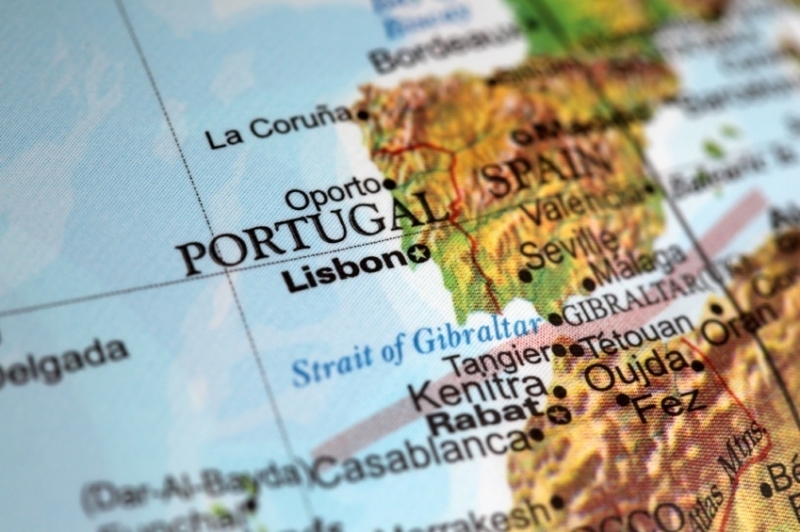 Despite its prime location, Portugal is one of the least visited countries in Western Europe. 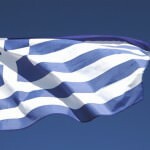 This means that historical traditions and customs are more intact and there are fewer tourists and kitschy souvenir shops than other Mediterranean countries – resulting in a more authentic experience. There are however tourist hotspots which are well traveled during much of the year, but are still worth a visit. The country isn’t very big, making it slightly easier to see and do more of what you want than in Spain for example. Road, rail, and budget airline are options to get to and from (and around) Portugal. If you’re in Lisbon or Porto, you can take advantage of comprehensive subway systems. Portugal enjoys a Mediterranean climate and is one of the warmest countries in Europe. Weather differs some between the regions, particularly in the mountains and steppes. In winter months, you can expect approximately 4-6 hours of sunshine per day, and 10-12 in the summer. Again this differs slightly throughout the country with the southeast being generally sunnier and the northwest slightly less so. Overall though, Portugal is a warm, sunny country and a trip anytime of the year will likely be comfortable, especially if you head to the Mediterranean coast. It’s the capital, largest city, and an ideal entry point to the rest of Portugal. At first glance, Lisbon might appear to be a haphazard jumble of buildings but, while it may be confusing, the cobbled streets and hills add to the charm of the city. Cafés line the streets, some offering spectacular views over the ocean. Be sure to check out Alfama, an old district of the city where the streets narrow even more and cars are a rarity. One of the few areas to largely survive the 1755 earthquake, Alfama offers a peek into what Lisbon once was. If you want to delve further into the history of the city, there are museums and even a castle on the hill. When you’re ready to unwind, check out Bairro Alto for the cities diverse nightlife scene. Only 15 miles northwest of Lisbon, the town of Sintra is an aristocratic fantasy, spanning different periods and styles of history. In centuries past, it was the retreat of the upper classes. Today, it serves as a fascinating step back into the lives of the past Portuguese elites. 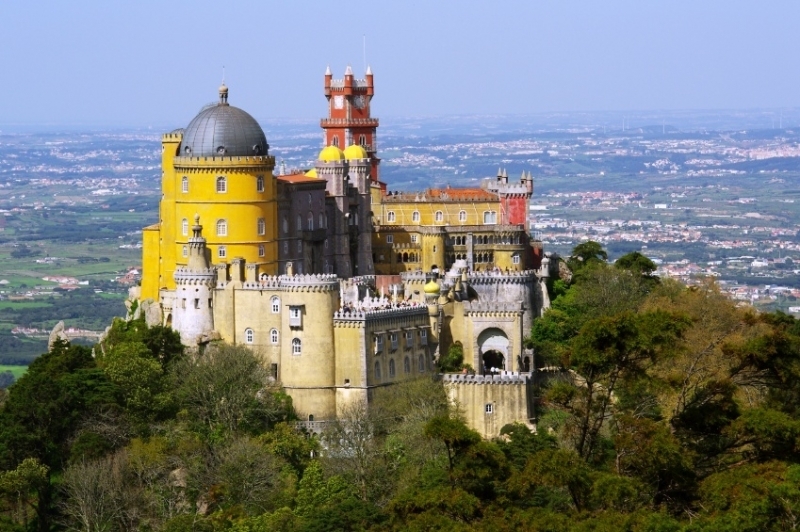 The three most dominating buildings in the Sintra landscape are the Castle of the Moors (medieval Moorish), the Pena National Palace (from the Romantic period), and the Sintra National Palace (the history of which stretches from the 15th to 19th century). This royal retreat of a city is a must for those with even a passing interest in European history. Plus, the most westerly point in mainland Europe – Cabo da Roca – is nearby and worth a trip. The second city of Portugal, Porto arguably has a more authentic, old-world feel than the majority of Lisbon. Residents often see themselves as hard working and diligent, so the experience can feel a little rough around the edges and less polished than its larger counterpart. Despite this, the riverfront district (and the city as a whole really) is considered quite romantic. Markets, old churches, and rustic storefronts all add to the charm that makes Porto unique. The city is perhaps most famous for its fortified wine, or port. Enjoy a glass along the cobblestone streets day or night and you’ll get a feel for Porto. Recently budget airline Ryanair has expanded to the city, making it a popular (and cheap) getaway if you’re already in Europe. In northern Portugal, upriver from Porto, lies the Douro Valley. This region is most closely associated with winemaking and vineyards – both for port and table wines. The craggy and steep nature of the valley make the Douro one of the more striking wine regions in the world, with the vineyards precipitously built into the sides of hills. These terraced fields are a must-see for any wine lover. The Douro Valley is a beautiful reminder of rural Portuguese life that has to be visited once you’ve gotten your fill of the urban scene. The Algarve is the most southern region of Portugal. In this idyllic place, the weather is warm, the Mediterranean beckons, and both cities and wildlife wait for you. 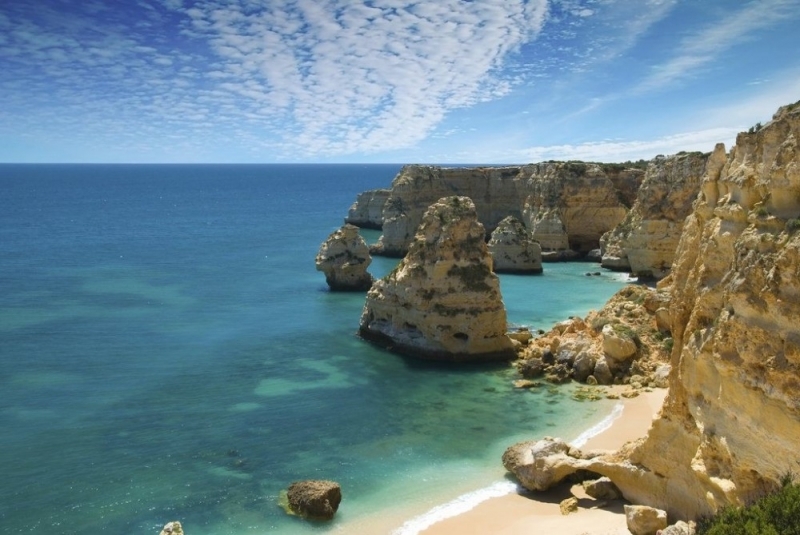 The Algarve is what many tourists are looking for on their Portuguese getaway. Beach bars, resorts, and tons of other tourist centered entertainments are commonplace along much of the sandy coastline. If you want to get away from some of the well traveled hotspots, the west coast of the Algarve is a bit wilder and less developed. If you head slightly inland, the region still has much to offer. Historic villages, cork trees, beautiful rolling hills, and remnants of the region’s Moorish past are all on display. Check out Silves Castle for one of the best-preserved examples of the Caliphate that once ruled here. Really though, the beaches are the main drawing point and the reason the Algarve is so popular. Located in the Algarve, this city is the place to let loose, especially in the summer. Widely considered the party capital of Portugal, Lagos nightlife is amongst the best in Europe. Accommodation is relatively inexpensive, the weather is warm, the beaches are sandy, and there are tons of cheap drinks available that aren’t going to finish themselves. The atmosphere is wild but is generally more of a bar scene than a club one. If you’re a student, or just looking to have a blast, Lagos should be at the top of your list. Also referred to as just ‘Gerês’, this is the only national park in Portugal. Though many parts of the park are protected, there is an abundance of campgrounds and hiking trails to discover. Covering over 700 km², the park features valleys, forests, mountains, and everything in between. Some of the most unique points of interest in the park are the small villages spread throughout. Here, traditional cultures and customs are preserved. Among the villages is Vilarinho da Furna, which is only visible when the reservoirs waters fall. These previously submerged ruins attract an abundance of interested tourists. If you’re the adventurous type, Gerês also offers places for water sports, like rafting and kayaking, in the more rugged Serra do Gerês. Portugal is part of the eurozone, meaning that the country uses the euro. So, with the current economic problems in Europe, a trip there will likely be slightly cheaper than usual. As with most European countries however, getting there is generally the most expensive part. 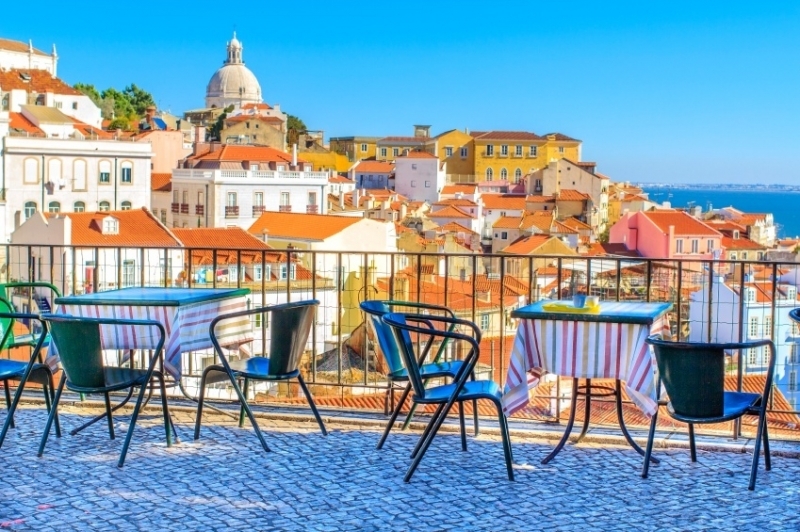 Round trip flights from Pearson to Lisbon can vary from around $600CAD to over $1000. Shop around and adjust your arrival/departure dates to find the best possible rate – there are some great deals out there so keep your eyes open. Once you arrive, an average days entertainment could run about $112. This includes about $52 for accommodation and $36 for food. 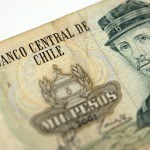 If you’re a thrifty traveler, you could get by with about $46 per day while channelling your inner aristocrat will likely set you back about $255 per day. Obviously this will vary greatly depending on where you are and what activities you’re involved in. If you want to have a blast in Lagos, have some extra cash on hand. 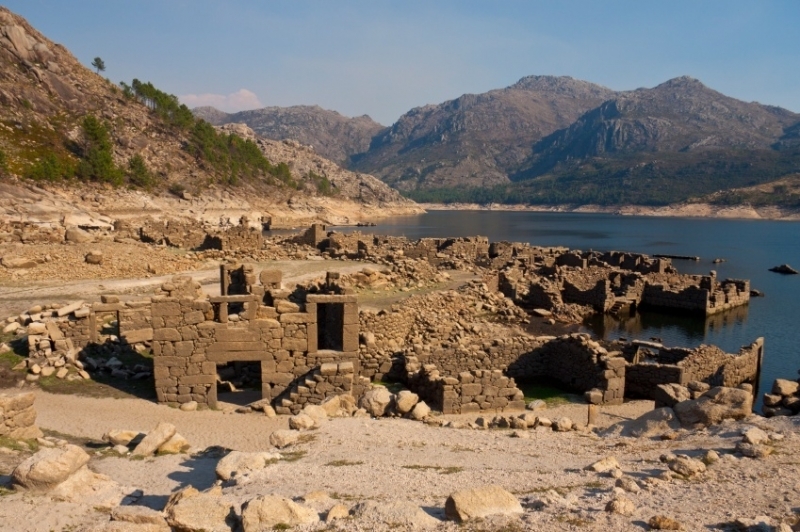 If you’re spending some time hiking in Gerês, you can budget slightly less. Always have some extra cash so you can take advantage of unexpected opportunities and activities when they arise. Like most of Western Europe, Portugal is a relatively safe country for visitors. Be wary of petty crime such as bag snatching and pickpocketing, especially in tourist hotspots. The Lisbon subway and Porto waterfront are common places for such crimes, so use caution and don’t wander there alone at night. Most important of all, use your best judgement when traveling. Portugal is a fairly safe country so as long as you’re vigilant and aware, there shouldn’t be anything standing in the way of a memorable getaway. These were just some of the options you have on your Portuguese getaway – there’s tons more to see and do! If a particular place or activity should be on the list, let us know in the comments! For more information on Portugal, check out our Country of the Week as well as our Currency Spotlight on the euro (for a greater understanding of the eurozone as a whole).